Hi again, everyone! Welcome back as we kick off Intros. First up is the widely anticipated set called The Dog's Woof. This was hard to keep under wraps and in schedule as many doggie lovers kept asking us where the dogs at after the release of The Cat's Meow! 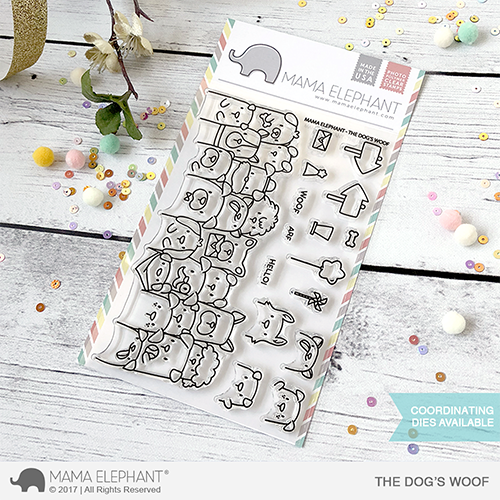 The Dog's Woof takes the guess work out of masking with the cluster of cute pups ready for you to color and embellish! Also introducing the early reveal of a new Creative Cuts die set called FBA-Love, it's the latest in the line of Favor Bag accessories to Favor Bag XL. You get three hearts sized just right! The largest heart is 4.25 wide, perfect for A2 cards. The second is sized to match our Favor Bags. And the smallest heart is just cute and perfect for our Scallop Square Box, peep the projects below! LOVE LOVE LOVE! And I hope you've had about a bazillion of those Dog's Woof stamp sets manufactured because I'm worried they're going to sell out super quickly!!! I absolutely MUST get my crafty little hands on one of those!!! OH! EM! GEH!!! I MUST have those doggies!!! Super cute! Love this one as much as the kitties and the snowmen! Oh I love it!!!!!!!!!!!!!!!!!!!!! As cute as the snowmen!!!! Always so cute! 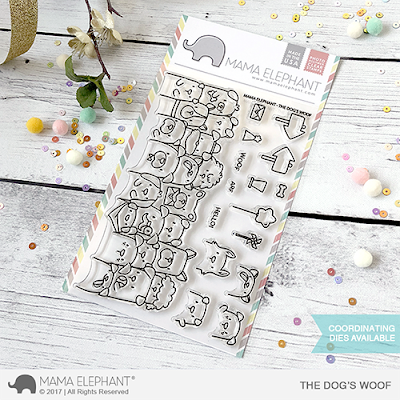 Love the Dogs Woof set! Love love love the new release! Love that you created a doggie set! Been waiting for these pups! Hope you made extra because they are going to fly off the shelves! Oh my goodness ! I want this stamp sooo bad !! Can't wait to buy the dogs. Finally someone let the dogs out - ha! I'm a big dog fan and has three fur babies, can't wait to get my hands on these! Yay you finally created the doggy version! WOOT woot! Yay for the dogs- sooo cute! Oh my gosh, your cards are darling, Kryssi! 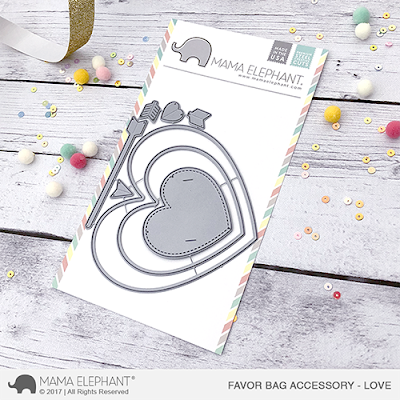 Can't wait to get my hands on this stamp set...and the heart dies...WOW!!! so cute and Im sure will be great to combine with cats! Oh my, I love the dogs! So awesome!!! Love it all!!! The group of dogs is so cute! Will you be doing a group of penguins too? Your penguin set is adorable and I use it all the time — I'd love an addition! EEEEKKK I love this stamp set. I am such a dog lover and this is perfect.. I need this.. I love your creations. The stamps and dies are awesome.